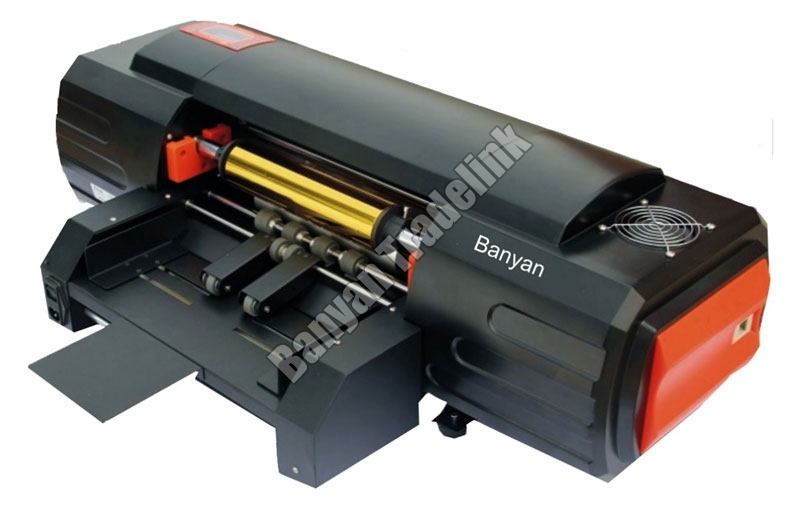 Hot Foil Printing Machine (330B) is suitable for printing on paper products and larger plastic articles. We are recognized among the prestigious Importers, Exporters and Suppliers of Hot Foil Printing Machine (330B) from Ahmedabad, Gujarat. The Hot Foil Printing Machine (330B) that we offer is high in demand in the market due to its high accuracy and smooth operations. Application : Card design, Sign, Image, gift, Personalized Greeting Card, Celebration etc. Printing Media : Leather, Coated Paper, Binding Paper, Sticker, Plastic, Fabric, Ribbon etc. Features : Plate less or no dies, a3/A4 size stamping, automatically feed sheets, online or offline printing. New design, digital machine completely replace the traditional aluminum foil pressing machine. Feed the sheets automatically, save time. The print head up and down automatically, no need by hand, save labour. Adopt the advancing printing control program, accurate position. Adopt the latest mechanical structure, more stable. One computer can control many machines at the same time for mass production, and in local network area, any computer can control the printer which connected to the network. The machine can also do offline USB moving device or online printing.